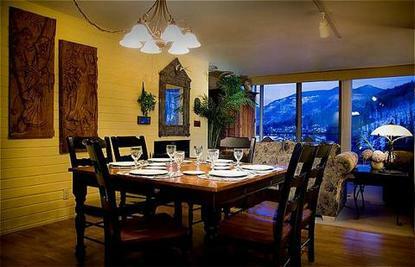 Simba Run Vail Condominiums host one or two bedroom condominiums located one mile from the town of Vail and the ski slopes of Vail Mountain. Simba Run features beautiful, spacious accommodations with amenities to include a 60 foot indoor pool, indoor and outdoor hot tubs, steamroom, dry sauna, fitenss room, three outdoor tennis courts, free indoor parking, elevators, massage therapy (on call). Meeting spaces is also available to accommodate 10-50 people for receptions or small meetings with high speed internet ports available. Simba's private complimentary shuttle service offers daily runs to Vail and Lionshead from 8:00am - 11:00pm during winter season as well as grocery runs throughout the week. Simba Runs is the perfect choice for the individual traveler, couples, families, family reunions, weddings and small meetings. Monthly rentals are available during spring, summer and fall.